More Street Fighter V Beards, Capcom. Do It. There’s Ryu, and there’s Hot Ryu. The bearded Street Fighter character elicited quite a reaction with his grizzled chin. And don’t be surprised if there are more bearded SFV characters on the way. 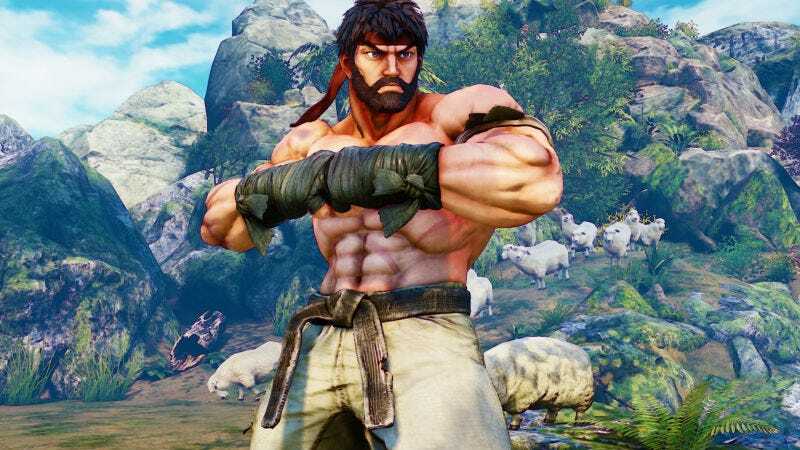 Today at the Tokyo Game Show, Capcom’s Matt Dahlgren told Kotaku that Ryu’s beard does factor into Street Fighter V’s story. But the overwhelming favorable reaction to it bodes well for future of Street Fighter facial hair. “I’d say there will be more beards, because of the reaction to Hot Ryu,” said Dahlgren. So, this could mean a few more bearded versions appear in the game. If so, great! But why stop at the usual suspects like Ken and Guile. Beards for everyone! Beards for the men and the women. Lady beards, Capcom. Make it happen.